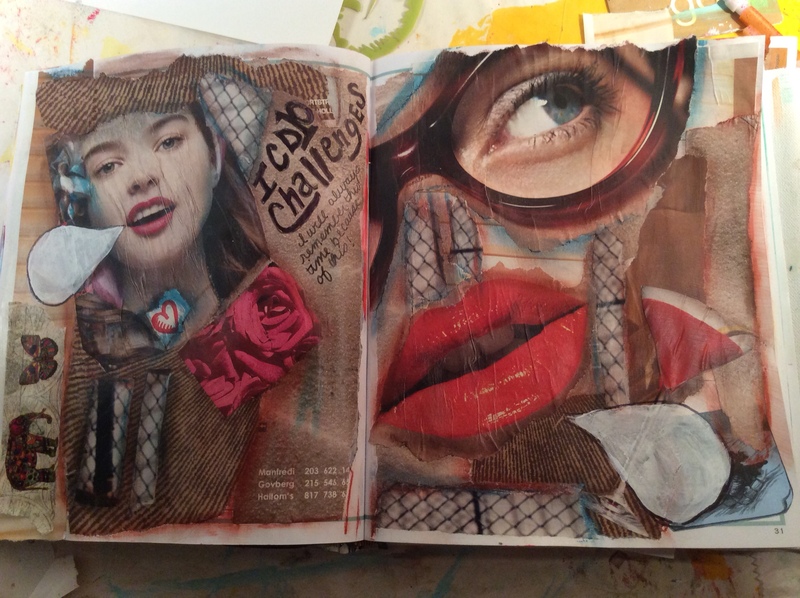 It’s Saturday and I have lots of studying to do… so my art journaling time is shorter than I would like. 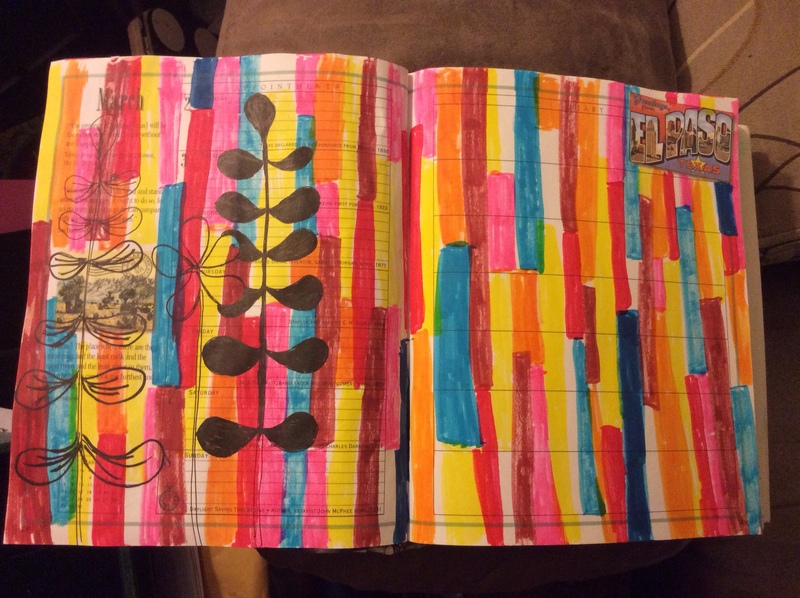 I am still working on the exercise from the online class I am taking: Lisa Congdon’s More Sketchbook Explorations. Lisa showed us how to draw some vines and leafy things. I was able to start but didn’t get very far. I used a micro point pen initially but changed out to a thicker lined pen. Since the background is so bright and saturated with color, a thicker black line makes seeing the design easier (if I had been able to make a lighter, less saturated background, I am sure the micro tip would have been fine.) I went over the first vine toward the bottom but didn’t have time to finish up going back over the top with a thicker line… maybe tomorrow. This is very much NOT my normal art journal style. But I am glad I decided to try out what I learned from class. The background is an interesting technique that I could vary a lot of ways… and its super simple. And I am always ready to learn more graphic designs to doodle on a page! 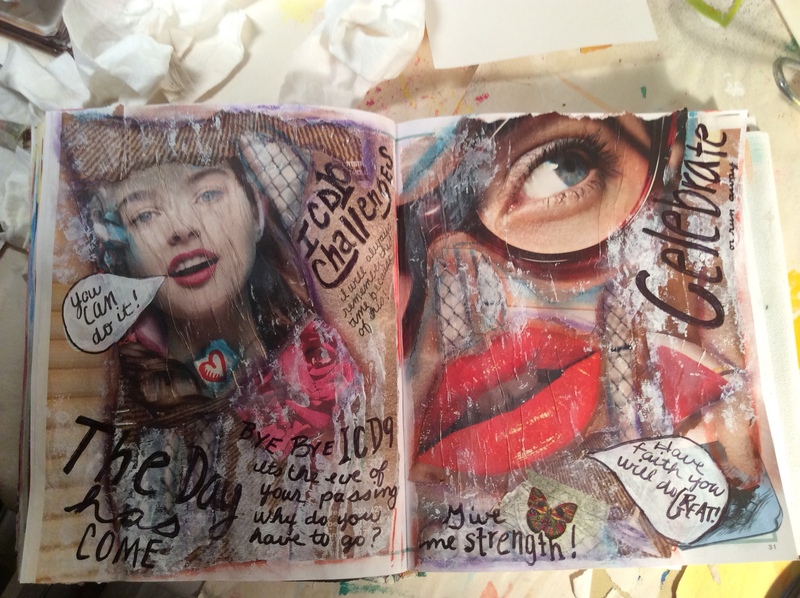 Why should you art journal? There are all sorts of reasons… and I can’t decide your reasons for you. Do you want to have fun? Experiment? Document your life? Document your inner thoughts? Make a mess daily? Have a creative daily/weekly/monthly… practice? Keep track of your life? Plan your day? Goof off? Be rebellious? Save your junque? Make beautiful art? Make interesting art? A quick and dirty Scrapbook replacement? Make art for art’s sake, beautiful or not? Daily doodle? … That is just a small list of reason you could art journal. And you, only YOU can decide. Me, well I think I art journal to break free of the ordinary. Ordinary written journal pages, ordinary planner pages with lists, goals, appointments, expectations… ordinary notes on works subjects. The daily grind of left brain spreadsheets, word documents, calendars, appointments, chores, responsibilities… that end up sometimes looking so gray and bleak. No fun in sight! No reprieve! Just work and responsibilities! YUCK! It is so easy when you are inundated with all this kind of stuff to forget the sun is shining, the butterflies are fluttering, rain is softly falling… and your life is gently passing. 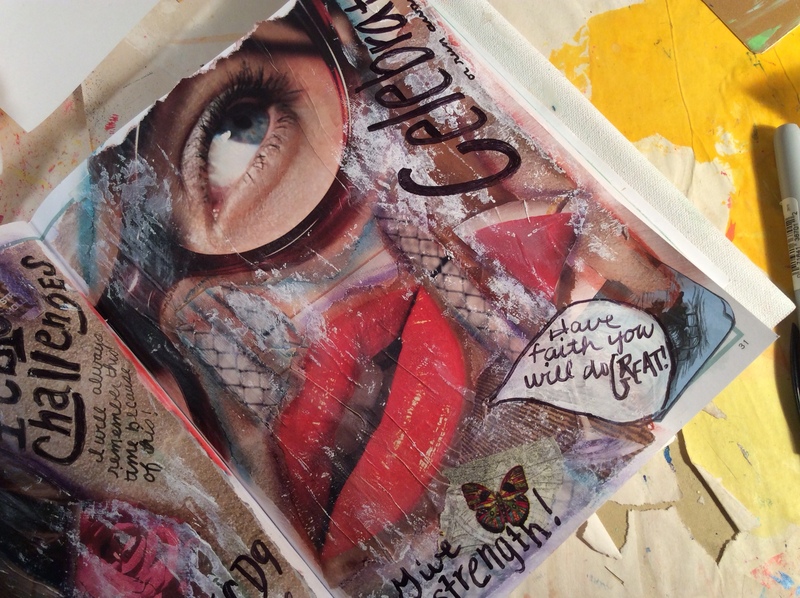 Art Journaling, for me, reminds me, there is more! Besides, rebelliously, I love adding fun, and color and mischief to my otherwise mundane work, just because I can! I can remember, life is fun! Life is beautiful! Life is an experiment! Life is passing! 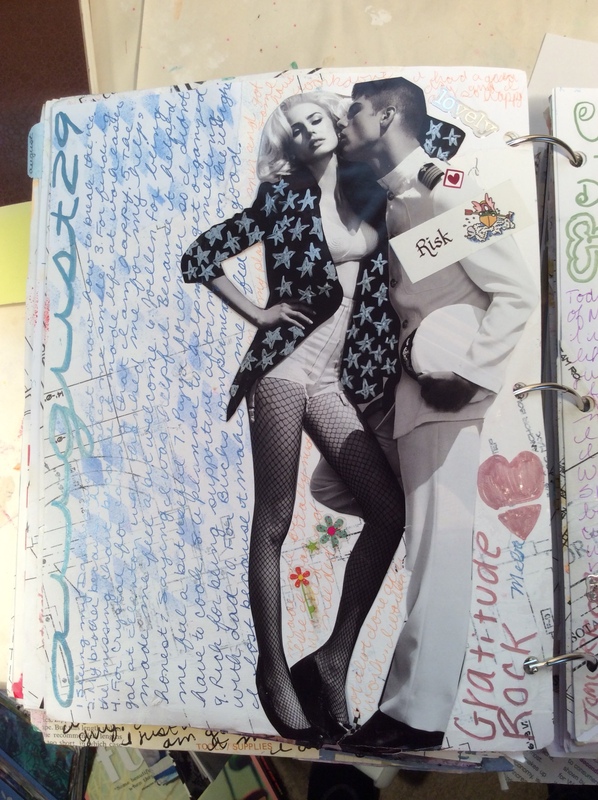 But I LOVE, LOVE, LOVE to art journal to remember. When I was a kid, my mom had two photo albums that she kept on the livingroom coffee table. They were of our family… and was pretty much up to date. I use to love flipping through the pages. As time passed, making more albums didn’t happen. Mom had to work, life got busy… But I always remembered the joy I had, remembering those times. It wasn’t about the photos… it was the memories. Precious and so full of Life and Love! 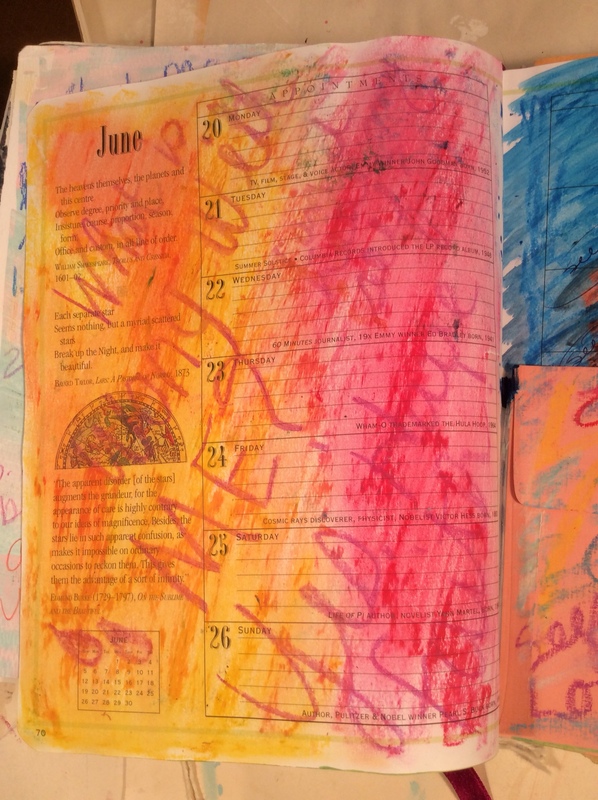 Art journaling gives me a way to remember my life’s goings on, but in the simplest, quickest, way possible… if that’s what I need in order to just get a memory down on a page. Or it can be complex and lovely. It can be a mess. Anything. 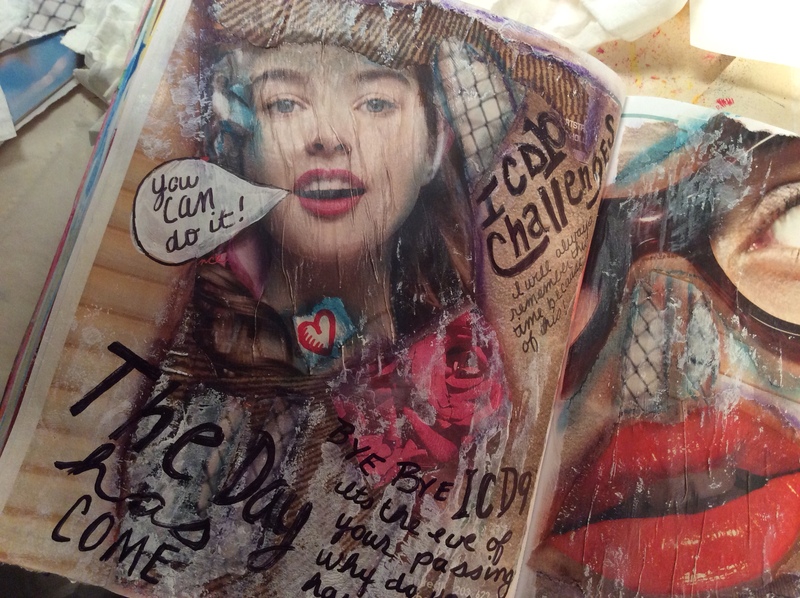 And the truth is, no matter what you put down in your art journal, it reflects… it spills your life. You will always have a reminder of the day. The day… the days… the months… that seem to speed by faster and faster as you live your life. 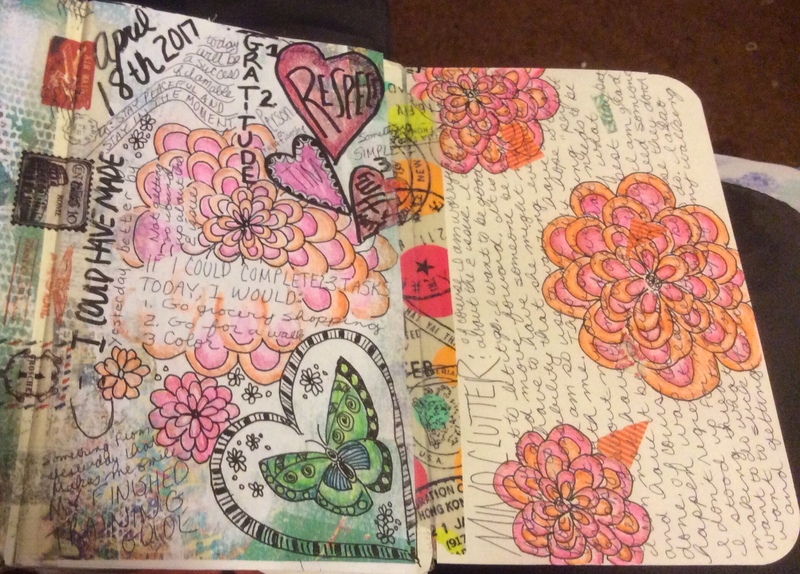 For me, a beautiful, artful page is nice… and reminds me of what was happening, but sometime it is the art journal days filled with junque… movie tickets, scraps of paper from web searches, book lists, song lists, blog posts… these are so fascinating and telling to look back on. They tell the story. They tell the story of you… what you were doing, interested in… In the most intriguing way. 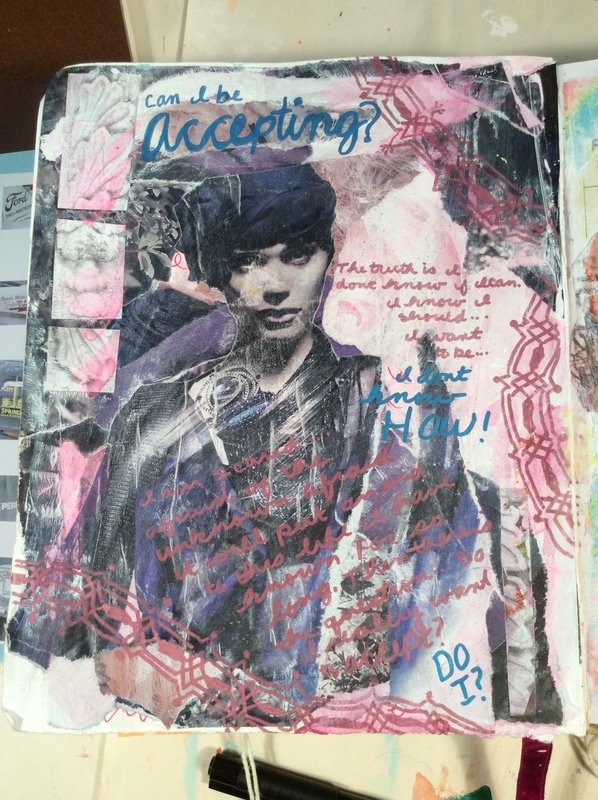 And regardless of if you believe it or not, anyone can art journal (just call it creative journaling, or junque journaling or be brave and call it all of the above!) If you can tape or glue paper, slap paint, doodle like you do when on a long boring phone call, yes, you can art journal! 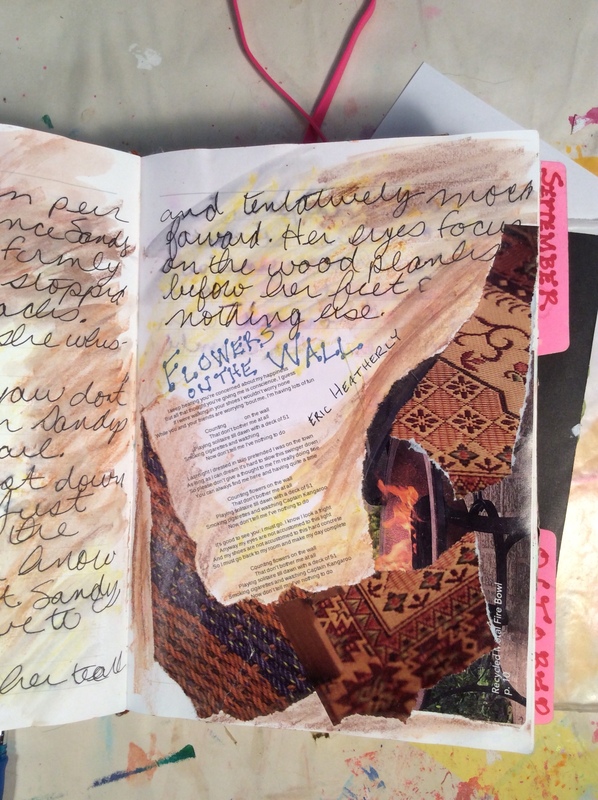 Why do you Art Journal? Or why do you want to… think you might want to? I would love to know! One of my main purposes for making this blog is to have a place where a journaler can find EVERYTHING about spilling your life… books, videos, online classes, reviews, blog posts, freebies… all in one place. 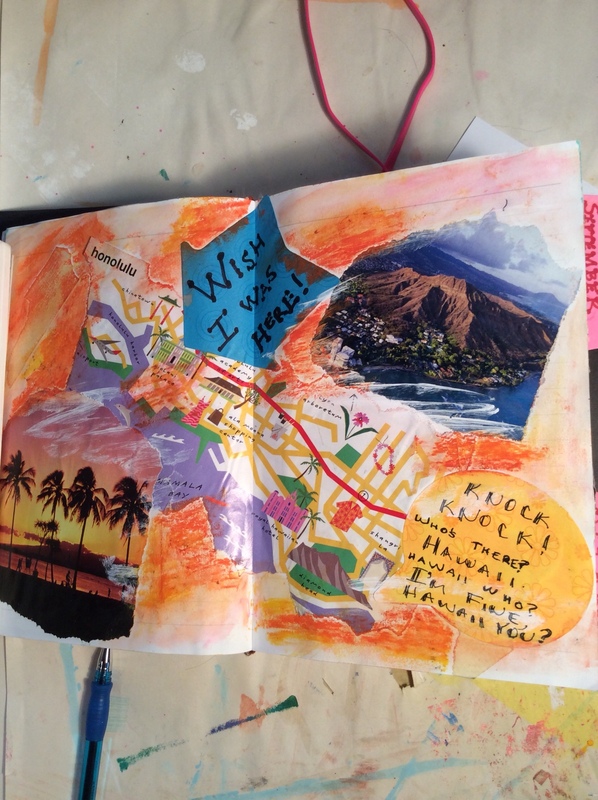 When I started out art journaling, it was hit or miss. I googled this and that and had to hunt for instruction, ideas, guidance, opinions and other art journalist and journalers. My next project is to make a listing of Online Classes, Upcoming Online Classes, and Freebies. These lists, along with my Book, Magazines and Site Lists,will be posted and will be constantly updated as I receive approval from the artists to link and include class information from their sites. If I have taken a class with an artist/writer I will let you know. If you hear of a site or upcoming online class that you would like added to my list, please let me know! Another reason I wanted to make an Online Class list is that when I started it was mainly artist and writers offering classes to help others find the joy of art and written journaling. What has happened in the last few years is that the classes have become strictly a money-making endeavour for some offering classes. There are even Online Marketers that are selling the formula to make your fortune selling online classes. So, in amongst the artist offering the very best material that includes their heart and soul, there are now many people selling online classes that offer little or nothing of much value, let alone any heart… often at a very high cost. My rule of thumb when taking a class from a new instructor is to see if they have any free offerings or any YouTube or on site videos available to see if I like the instructor’s style and the content they present. This is really important because there are all sorts of ways of presenting online materials. Some instructors use strictly text and photos, others use videos to show step by step instruction, yet others set the camera to roll and show their techniques with no explanation – only music in the background… Or maybe you could take a less expensive class to try out this instructor. This particularly comes into play for me when the class is expensive, and for me, expensive is any class over $75 dollars. It is hard for me to swallow a text and photo based class if it costs over $75 UNLESS I know the artist and have faith that the material will really be worth it. It is hard for me to be satisfied, if I pay for a $75 or over class, and only get a few 5-10 minutes videos and some pdf content, UNLESS that content is OVER THE MOON FANTASTIC… I will feel (and have) jipped. Why? Because I have been so incredibly fortunate to have taken some of the most awesome, content filled classes by some of the most fabulous artists and writers out there! After you have taken a class with tons of wonderful video content for $30 and pay for a $97 dollar class that turns out to be text-based rehash of what is out there all over for less that $10… you tend to get VERY ANGRY. Don’t get me wrong, there are some classes that are offered over $75 that may be FANTABULASTIC, and are. But more and more, unless you know the instructor, there is more of a chance to get taken. Spillinglife.wordpress.com, allows you to meet the artist and investigate/enjoy their sites and see what classes and freebies they have to offer. Have fun, learn, explore… that is my goal!